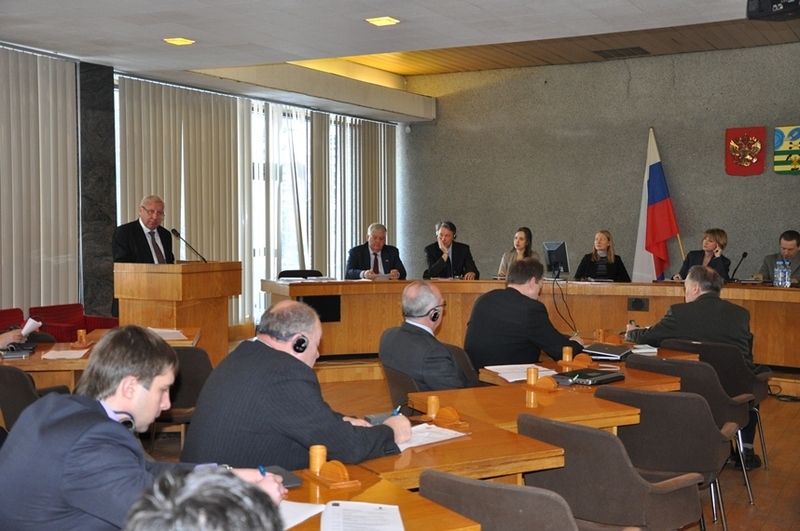 On March, 5th Petrozavodsk hosted a round table “Sustainable development and Security of Energy Supply: Swedish Experience and Prospects of Cooperation”, which was organized jointly by Consulate General of Sweden in St.Petersburg and Petrozavodsk City Administration. The round table was attended by Mr. Jan Nyberg, Consul General of Sweden, Mayor of Petrozavodsk Nikolay Levin, representatives of energy agencies from Sweden and Russia, Nordic Environment Finance Corporation, regional and municipal authorities, local energy and communal companies. During the session, leading Swedish experts shared useful experience, speaking about sustainable development and energy policies, measures on promotion of heating systems, ways to attract investments for increasing energy-saving at industrial enterprises, etc. During their visit to Petrozavodsk, Mr. Nyberg and members of the Swedish delegation took part in official meetings with Petrozavodsk Mayor Nikolay Levin and Governor of Karelia Alexander Hudilainen. At the meeting in Petrozavodsk City Hall issues of interaction in such important areas as solid waste management and modernization of sewage systems were discussed. At the meeting with Karelian leadership Mr. Nyberg pointed out that Sweden’s interests in cooperation with Karelia lie in the area of energy and housing and utilities sector. Apart from contacts with Petrozavodsk opportunities are being discussed of attracting Swedish companies and investors for participation in a number of projects in other districts of Karelia. In his turn, Head of Karelia Alexander Hudilainen paid special attention to the recently adopted Karelian law “On state support of investment activity in Republic of Karelia”, which grants unparalleled privileges to the national and foreign investors.